Stunning views of the sea and the mountains. No opposite. Special rates for pensioners over the long term (over one month) from October to April: contact us! For the rest, see fee schedule, sliding scale depending on the number of rented weeks: -5% on the second week, 10% off the third week. This pretty little town is situated in the extreme east of the Costa del Sol. Its climate is mild (the temperature is around twenty degrees of annual average). The landscape around the Sierra of The Axarquia is beautiful and rugged coastline consists of a succession of beaches and cliffs. Burriana Beach is one of the most remarkable of the city. Surrounded by residential areas; this stretch of long sandy more than 700 meters is equipped with all the necessary infrastructure. The old town of Nerja features interesting examples of traditional architecture. Bathroom completely renovated composed of a water shower and a vanity unit. Kitchen equipment: washing machine, microwave, oven, refrigerator, hood, toaster, electric juicer. NEW AND EQUIPPED KITCHEN. Cleaning and laundry end of stay are made by the concierge from the tenant for about 50 Euros. Frigiliana: elected more beautiful village of Spain - small white village, beautifully ornate. Crafts (ceramics, cane honey). Córdoba: a city registered by Unesco as a World Heritage Site, a magnificent labyrinth of lanes, squares and whitewashed courtyards, articulated around the cathedral mosque. Seville: The Alcazar (where Charles V and Isabella of Portugal were married), old tobacco factory, Basilica of Macarena, Torre del Oro, Plaza de Toros. But Nerja is also a very lively village, whatever the season, offering a wide choice of restaurants, bars, discotheques. 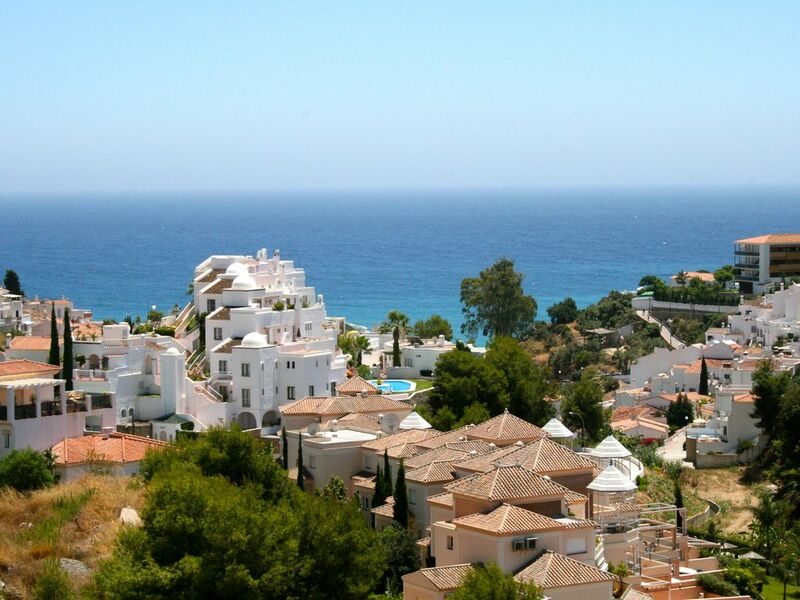 Nerja enjoys a tropical microclimate and about 320 days of sunshine per year. This makes it a favorite place for retirees. The apartment we offer is located on the 8th floor of an 8-storey building and benefits from its balcony of 13 m2 with a view of the sea, the mountains and the city. Special rates for retirees between October and April for long term rental (on request). Apartment located 10 minutes walk from the city center. Shops nearby. Visits nearby: The Nerja Caves, the village of frigiliana.